Actor Larry Hagman died yesterday in Dallas, where he had been busy filming the second season of the reboot of the classic primetime soap named for that city. 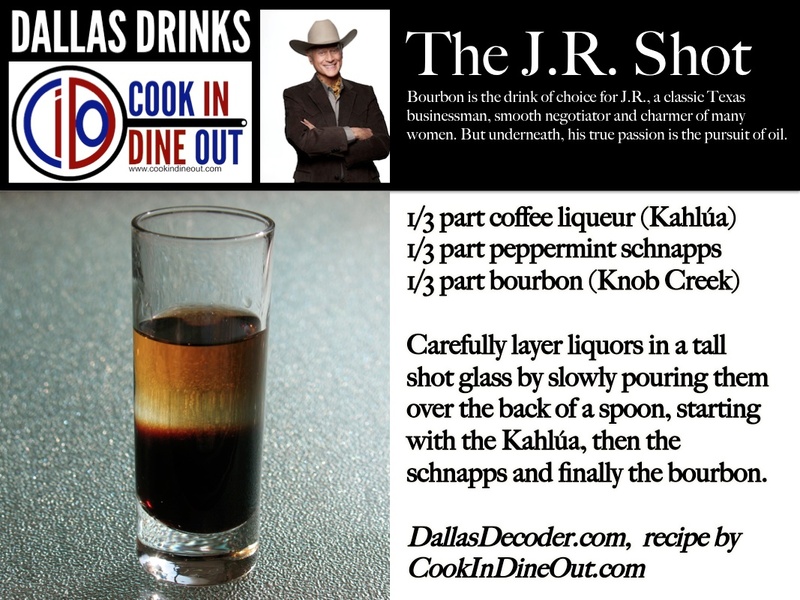 Normally, you wouldn’t find mention of such an incident on a food blog, but “Dallas” has a special status in our home, particularly for my husband, who writes Dallas Decoder. I didn’t watch the show as a child, but through Chris I’ve been sucked into the drama and love it too. Although Dallas is an ensemble show, Larry was the heart that beat at its center. He created one of T.V.’s most iconic villians, J.R. Ewing, the man viewers loved to hate but also (perhaps silently) root for. This last summer, Hagman masterfully reprised the role of J.R. when “Dallas” began its new life on TNT. As despised as J.R. was onscreen, Larry was well-liked by his actor colleagues. In particular, he became lifelong friends with original “Dallas” stars Patrick Duffy and Linda Gray, who also worked with Hagman on the new series. They were reportedly by his side when he died. Today, Cook In / Dine Out raises a glass in memory of Larry Hagman with sincere sympathy for his family, friends and fans. This was very sweet of you dear. Thanks.